When famed Elder Scrolls loresmith Michael Kirkbride started scribing concepts for the game that would eventually become Morrowind, he admits that he first approached the material with the misguided earnestness of an overachieving fan. Rather than simply building the world around the story they wanted to tell, he wanted to set the entire history of the continent in stone, starting from the gods on down. While this mindset was understandable, he began to fathom his error when a colleague asked him a simple question: If you're writing a history of the world, then which culture invented glass? "It totally shook my understanding of what lore was," he says. "When you're thinking about something like that, which affects the lives of everyone in your world, from peasants to royalty, that's lore that really matters. That's the headspace I try to get into." Over the past decade, the concept of "lore" has catapulted up from the forgotten corners of design documents into the center of the frame of popular gaming discourse. Boosted in part by the reemergence of the text-heavy Infinity Engine stylings of CRPGs like inXile Entertainment's Torment: Tides of Numenera and Larian Studios' Divinity: Original Sin 2—not to mention the ornate item descriptions of the Souls series—the "lore" obsession in video games mirrors a general wave of interest across media in recognizing world-building as a discipline unto itself. But while noted RPG loremasters like Larian's own writing director Jan Van Dosselaer understand and appreciate the increased interest in their work in some quarters, they're quick to note that it's hardly a universal phenomenon. "One of the hardest parts of my job is writing for every kind of player," says Van Dosselaer. "While it's nice that there are people who will read every line of text, every description, the truth is that most people are not like that, even when they play RPGs. They want to get to the action. That's why in Divinity, you can kill everyone and still progress in the game. We have to accommodate that, because some people think that's fun." While most players tend to fall closer to the middle of those two poles of possible behavior, that dichotomy demonstrates what these experts view as one of the fundamental tenets of lore-writing, what you might call the "iceberg principle." By simply walking around the world engaging in typical "protagonist" activities—taking quests, digging loot out of trash cans, and, let's be honest, possibly slaying swaths of innocents—the player should come across several hooks that entice them into delving a bit deeper into the fiction of the game. The mass of that submerged iceberg itself certainly matters, be it in the form of an optional sidequest, a dialogue tree, or a load of text on a scroll. To Michael Kirkbride, best-known as the mind behind the complex cosmology of Bethesda's Elder Scrolls series, that barbed tip matters so much more. From Kirkbride's perspective, when most of us hear the word "lore," we basically imagine drudgery; reams of paper overflowing from endless drawers, a parade of proper nouns leaping into our ears and out the other side. Sure, some poor English majors (such as myself) might have liked sketching out our thoughts on the books we were forced to read in high school and elsewhere, but for most of us, they didn't exactly set our imagination ablaze. "I think a lot of beginning writers in games have a tendency to think of their world and their job only as words," he says. "To me, the most important part of a game's lore is how it looks, how it feels. Obviously, you have to do some writing for that, but none of it is player-facing. That's for you and the team, not for them." When lore has occasion to announce itself (such as the much-pondered fate of a high-flung gods, such as the Nameless King in Dark Souls 3), Kirkbride has no issues with unleashing complex prose. But, for the most part, the world-building that he admires seems invisible to a denizen of the fictional universe, yet is starkly alien and intriguing to us real-world humans. He cites a short passage from Gene Wolfe's acclaimed Book of the New Sun series-one of the cornerstones of the "dying earth" subgenre that influenced games like Tides of Numenera—where supremely unlikeable protagonist Severian orders a beverage described as "peppered chocolate" from a rustic restaurant. "That's a perfect example of what I try to do," he says. "Your eye can just slide right over that, but if you're paying attention, you say, 'wait, what?' That gives you that sense that it's a fantastical world, that it's something unfamiliar to us. Little things like that really add up." Since world-building is often the first missive against the blank page in more conventional forms of art, we might assume that it comes before anything else in games as well. But for veteran script specialist Chris Avellone, whose litany of credits reads like an anthology of notable RPGs, but remains perhaps best-known for his work on Fallout: New Vegas, the lore should all depend on the style of game first and foremost, and especially its delivery method. "One good approach for constructing lore itself is to examine the player-facing systems and the gameplay loop in the title," he says. "For example, if your world's monsters are only giant sandworms that travel beneath the ground and the gameplay is to keep them from undermining cities, the lore should inform that and explain what sort of culture has evolved around (positively and negatively) this environmental threat, from architecture, to armor, to weapons, to the rise and fall of nations." Avellone compares the traditional RPG storytelling tools of sidequests and dialogue trees to the stringent demands of more kinetic genres, like the first-person shooter. In more fast-paced games, players often have less patience for ten minutes of tête-à-tête with a rambunctious NPC. As such, writers like Avellone might try to lean on BioShock-style audio logs, or more novel forms of environmental storytelling, like the underground testing chambers of Portal 2. To him, anything that the player interacts with can communicate lore, no matter how minor, from the manufacturer of their favorite gun to the shape of a door. 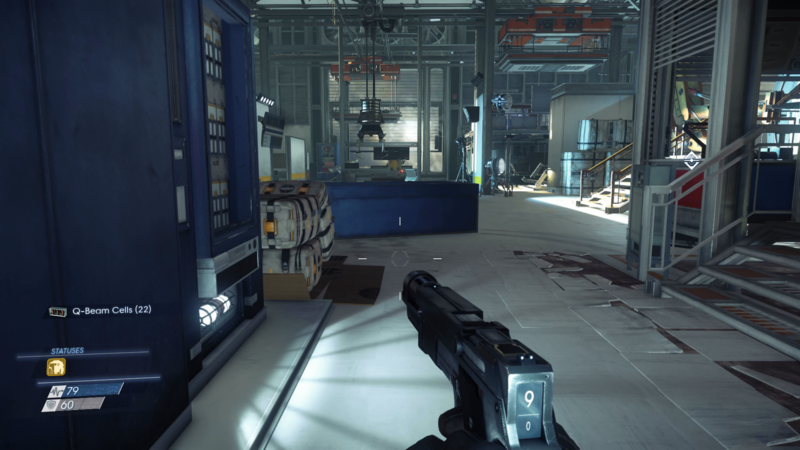 For example, the varying size and decor of the many empty offices in Arkane Studio's Prey (2017) help communicate the corporate ladder of the space station you're exploring. Avellone also emphasizes that the world should reflect the identity of the player character, even when they're simply exploring it. He cites The Witcher 3's depiction of Geralt, where townsfolk comment on your unnaturally pale skin, and cats hiss at you as you saunter through an alley. While these writers admit that it can be tempting to try to utterly transform the setting or genre that you're working within for any particular project, knowing when to reign in some of your more outlandish concepts is a key aspect of the job. As Van Dosselaer points out, the universe of Divinity differs from typical Tolkienist fantasy trappings-after all, you can play as an intelligent Undead and walk around spookifying people with your skeleton body-but, on the surface, it still looks like the commercial kitchen-sink fantasy of D&D. "We made our elves unique by making them cannibals who eat other people to gain their memories," he says. "But if you don't play as an elf, you might not find that out for dozens of hours, or maybe at all if you're not paying attention. It's sort of the fantasy you expect, but with a twist. That's our philosophy." 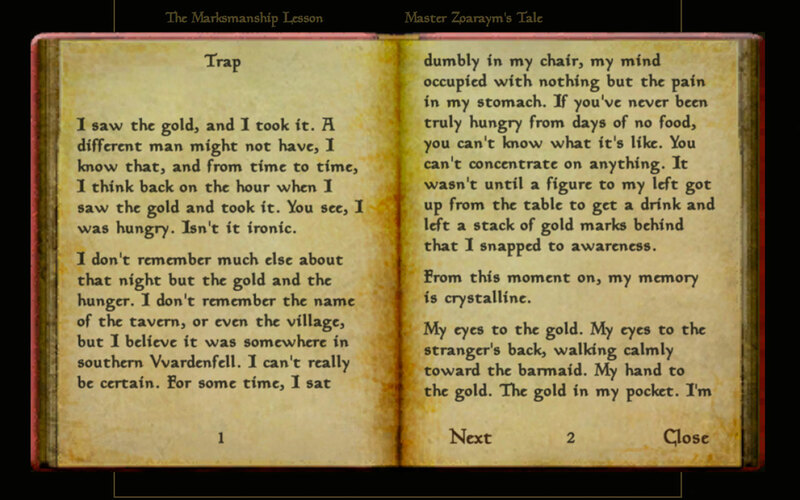 Each of these writers have their preferred ways of conveying information to the player, but there's one that they all disdain: the dreaded "lore dump," paragraphs and paragraphs of text delivered by some dusty historian who might as well be the designer themselves blaring at you with a megaphone. While this well-worn device has a long and ignominious history in the RPG space—remember all those quest descriptions you skipped in World of Warcraft?—these designers have spent their careers fighting against that tide. "Eventually, we just put a big message on the whiteboard that said, 'lore is boring,'" says Van Dosselaer. "It was right there, in the room where we do a lot of the writing. That's not to say that traditional lore is bad, of course, but it does mean that you can often tell it in a more interesting way than just some guy yelling it at the player." "Lore doesn't have to be delivered by the proponent of the lore or a historian in the game," concurs Avellone. "It's often fun to present lore by someone who is at odds with it, who seeks to rewrite it, or who has a perspective on it that makes the player weigh the agenda of the person they're speaking to versus simply accepting the lore being given as a blind adherence to what's being spoken. Hearing a rival nation's interpretation of another nation's lore is a fun interaction opportunity for both the writer and the player." For Kirkbride, the path from the designer's brain to the player's eyes or ears might have grown more functional over the years, but he still feels that more game-writers should focus on two core maxims that served him well in his former role at Bethesda. For one thing, he and his fellow scribes decided very early on that each text the player would encounter in Tamriel would have a distinct author and point-of-view, rather than the "Word of God" soapboxing that tended to mar early CRPGs. Rather than simply taking a speaker or text at their word, this meant that players were encouraged to consider the point-of-view of the author, just like in real historiography. For another, he says that most rookie designers-perhaps inspired by the Elder Scrolls pantheon of gods, one of his more celebrated contributions-are too concerned with the affairs of heaven and not enough with those of the everyday person. "We would call it the god story and the dog story," he says, laughing. "To me, the dog story is like this: what's it like for the peasant? How does magic seep down into the lives of everyday people? War, famine, things like that. To me, that's equally interesting to warfare between the gods, sometimes even moreso. If you don't know how everyday people are living in your setting, then you don't know your setting... I think that's why people have a tendency to connect with the guild quests in the Elder Scrolls games, because they deal with more mundane matters." Both Avellone and Kirkbride understand a yearning that most games writers have to go through at a certain point in their careers. That is, giving up control to another creative. For Avellone, it was Fallout, which he states is his favorite property to work in, watching it ping-pong back and forth between different companies like Interplay, Bethesda, and Obsidian, with each twisting the franchise's image and history to suit their own vision of what the post-apocalypse should be. (Fallout 76 was particularly derided by the community for this aspect.) For Kirkbride, it was stepping away from his full-time Elder Scrolls role just before Oblivion blew up in popularity, calcifying a version of the world he helped create that he didn't always agree with. For his part, however, he eventually got over it. It just took a long time. "I didn't play Oblivion for nine years," he says. "It was hard, because I was still contributing in some capacity, but I didn't have that level of control. 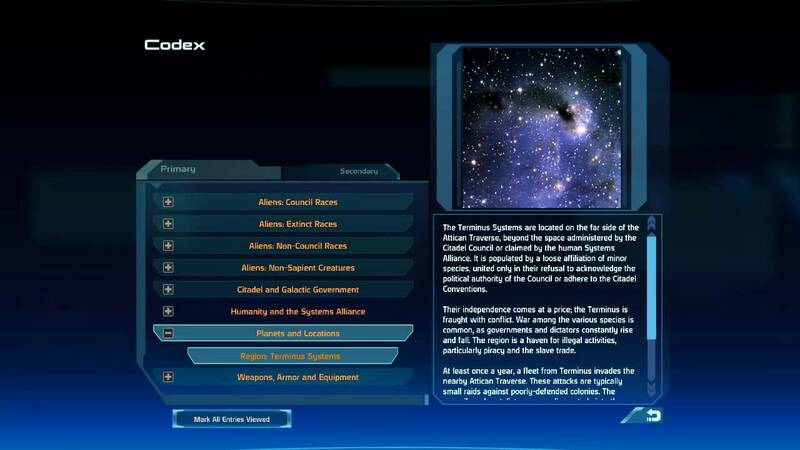 The Empire depicted in that game is not the Empire that I imagined, that I wrote about. It's hard watching it get away from you like that, but it's part of gaming. Games are made by so many different people, no one can really take ownership. It doesn't just belong to the company, it belongs to the players, too, and all the people who interpret it. That's what makes it so powerful, and so fun."